Callers are never asked to give their name or other personal information. When the information provided leads to a felony arrest, cash rewards are offered. To ensure that callers remain anonymous, a system of ID numbers has been adopted. 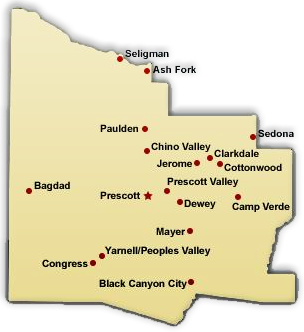 Upon calling Yavapai Silent Witness, day or night, callers will be given a 4 or 5-digit control number, which also acts as the case number. This number then becomes the caller’s “name” throughout the process, thus allowing for information otherwise deemed risky or hazardous to be revealed. Once the information has been processed, it will be passed on to the individual agency in charge of the case, caller’s anonymity still in place. *Important Notice:Yavapai Silent Witness, Inc. and the Yavapai County Sheriff’s Office (Prescott, Arizona) has made every attempt to ensure the accuracy of the information provided on this website. If there are any questions regarding the accuracy and/or the validity of the information concerning the identities of wanted persons, please contact Director Chris Wilson at 1-800-932-3232 Monday through Thursday. Please never attempt to apprehend any of the wanted individuals featured on this website. Instead, please call Yavapai Silent Witness at 1-800-932-3232 or call your local law enforcement agency.